EUR/GBP Reacting in HFT Sell Zone! 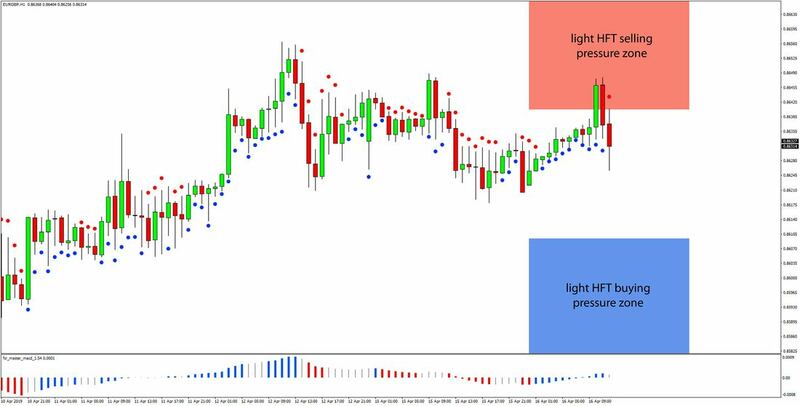 We are analyzing the trading activity of HFT algorithms in the Forex market this morning and note that the EURGBP currency pair may provide interesting bearish trading opportunities in the trading session ahead. EURGBP has already reached the light HFT selling pressure zone that is today noted at 0.864 and above. The price has already reacted and EURGBP was strongly rejected from the light HFT selling pressure zone. Prior highs around the 0.8650 level provide additional resistance which makes a bearish reversal in this area more likely. Some of the trend indicators like the Master MACD and the FxTR CCI have also shifted the trend from bullish to neutral or to bearish. Further bearish price action would likely mean that the light HFT buying pressure zone will be reached which is today noted at 0.8609 and below.